Well what a week. Everything we do as individuals and as a team comes down to just four days of competition. 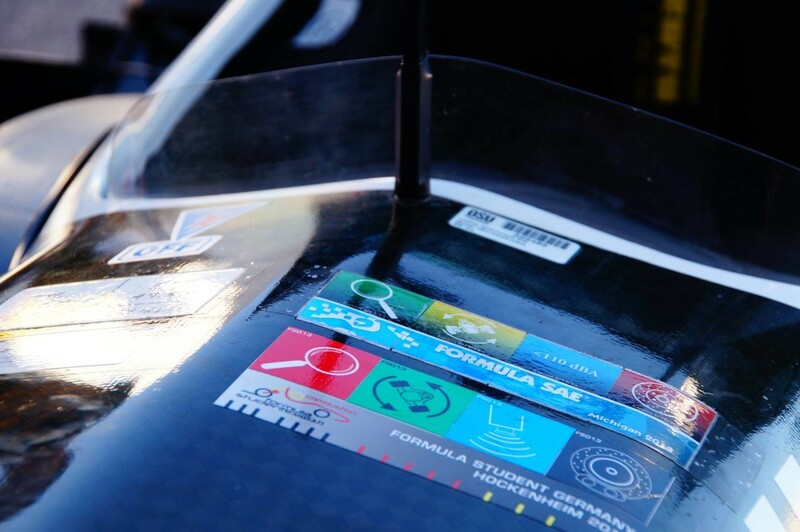 In those four days we are evaluated on how successful we perform, this does not always mean we perform the way we think we should but still gives us a good idea of the competitiveness of our team and car. Between three static events and four dynamic events, everything must work close to perfection to even have a chance to win the overall competition. There is so much effort put in throughout the year; that we all hold our breaths for those four days and hope that we did everything we needed to. Success is a relative determination. At GFR, we have the highest expectation and prepare everything towards the ultimate goal of winning. We go to competition to win. That is the reasoning for our madness for the other nine months of the year. The perseverance drives us to put in those long hours so that we are just a little more confident that everything will work while at competition. Tuesday we packed the truck and a van hauling all of our supplies to support two racecars and close to 70 people. After setting up camp just outside the Hockenheim Ring track that night, we woke up Wednesday ready for the first official day. 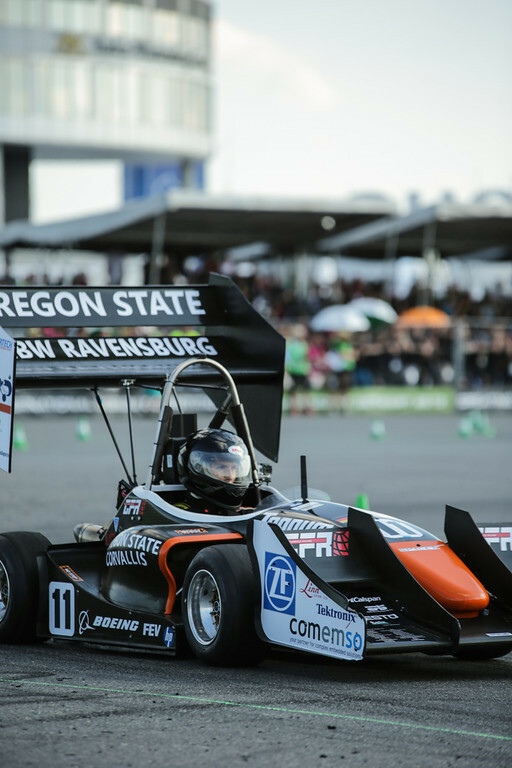 On Wednesday, all the cars registered for the event are required to pass a technical inspection, brake test, tilt test and sound abatement test. 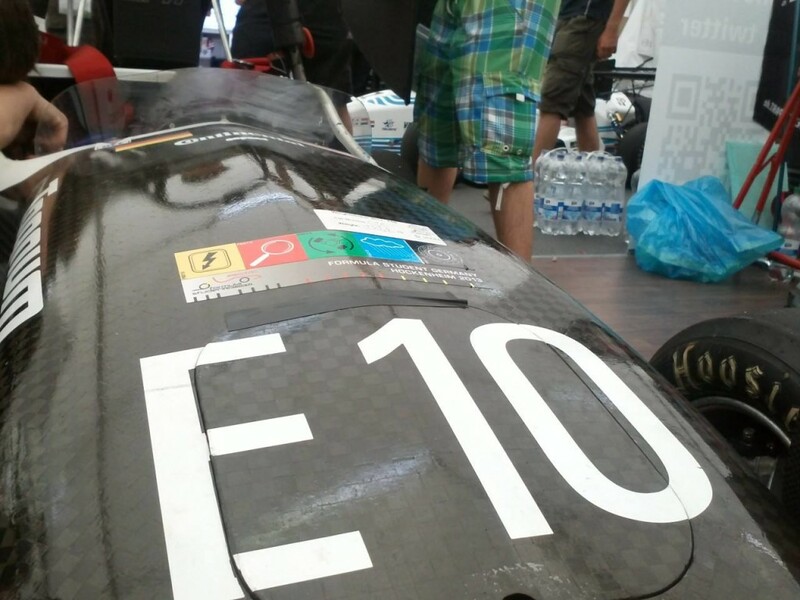 With minimal setbacks, the combustion car (Ccar) passed these inspections by Thursday. 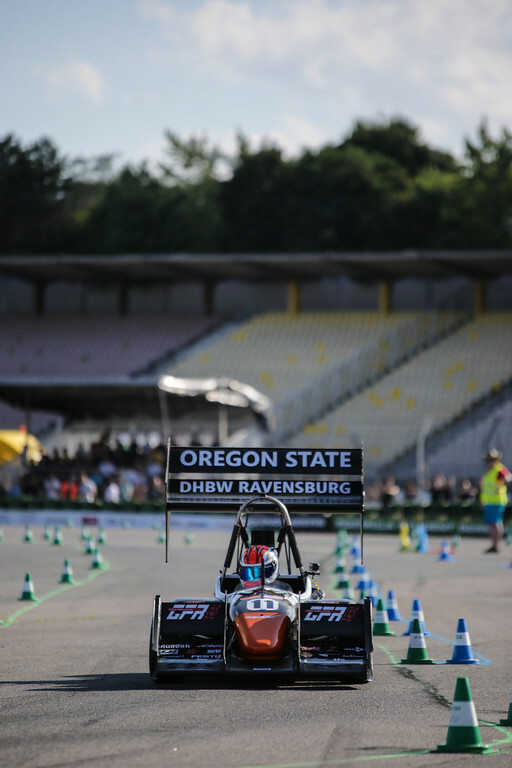 The electric car (Ecar) had a few more serious issues before the scrutineers would pass the car for dynamic events but with an amazing effort and multiple nights spent in the pits, the electric team was able to pass the required inspections. Thursday was the busiest day for the electric team; having to perform all of the static events including Business Presentation, Cost Presentation and Engineering Design Presentation. Meanwhile, the Ccar ran on the test track to ensure that it was set up and ready for the dynamic events. On Friday, it was the Ccar’s turn to participate in all of the three static events but also the wet Skid Pad dynamic event. 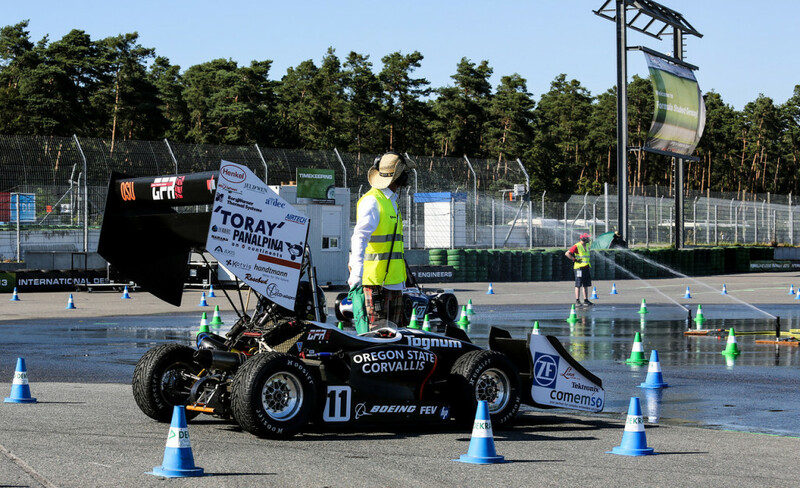 The Ecar would also be running in the Skid Pad event. 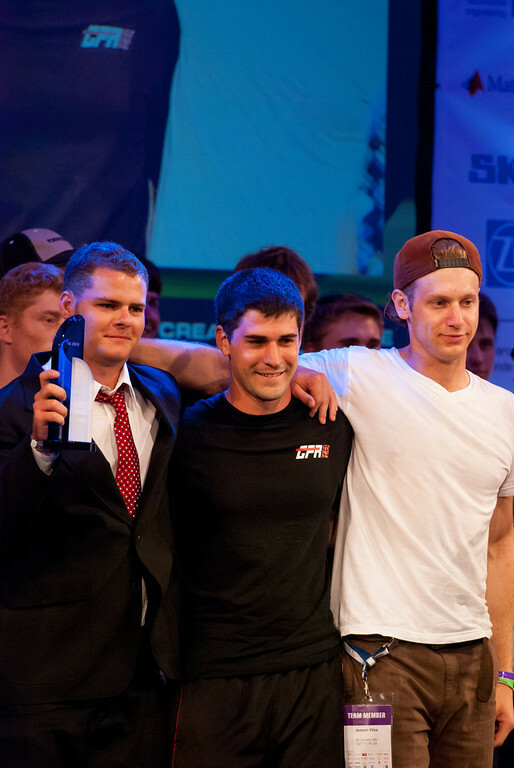 We thought we would get a better result in Skid Pad but we were somewhat satisfied with our results and knew that we still had three more dynamic events to look forward to. Later that afternoon, we did receive some good news that I and the rest of the combustion Business Presentation team had made it into the final three. 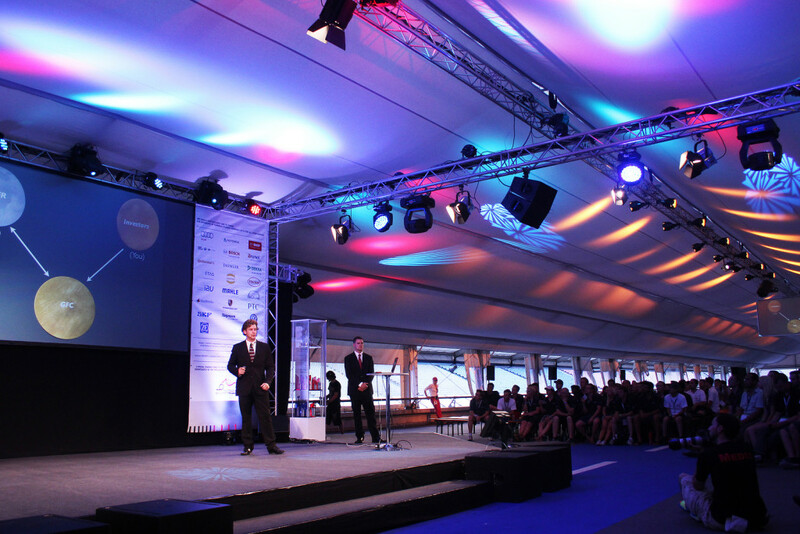 The final three would present in front of all the Business Presentation judges on the main stage later that evening. We knew we had a solid presentation and did very well on stage giving us confidence for a good result. After all the groups presented, the judges voted for the best. The judges found our presentation to be most satisfactory and awarded us with first place. Saturday came quickly and was an important day to figure out exactly how we compared to the rest of the cars out on the track. 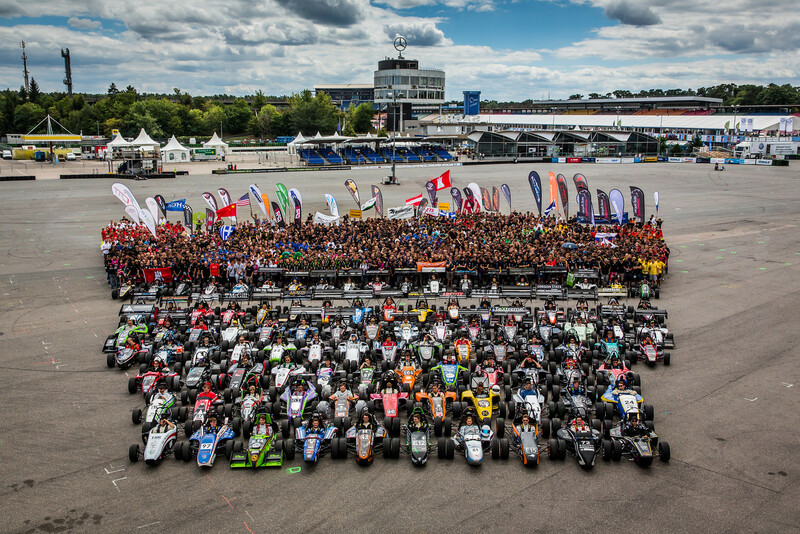 With the Acceleration event in the morning and Autocross in the afternoon, it was a full day. What made it even more difficult was the variable weather. We got lucky a few times when we timed the weather right and drove during some of the best conditions of the day. As a team, we know we have a stunning car; but what amazes me is how awesome our drivers are and how committed they are to the success of the team. Their skills out on the track give everyone a boost of assurance that we will have a shot at winning. Immediately when the GFR combustion car went out on track, it was visually faster than anything else that had already run that day. 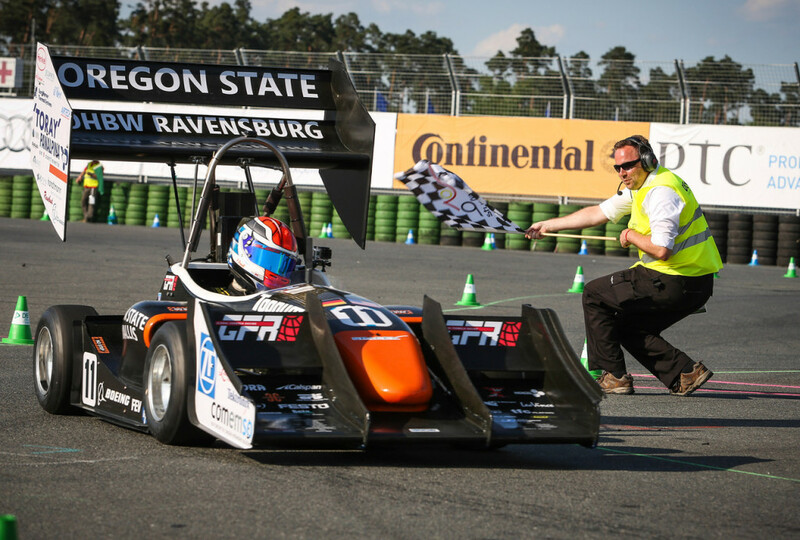 Within the first Autocross laps, Ryan had set the fastest lap of the day for combustion. Then Phil went out and set an even faster time than Ryan. Although a long three days had passed so far, Sunday was the most important and critical day for our overall result. Without starting and finishing the Endurance event, there is basically no chance to win the overall competition. Because we had earned the quickest time in Autocross, we would be in the last group of cars to go out on track for the two drivers, 18 lap race against the clock. The first driver would run 9 laps, come in for a driver change which is set under a time limit, and then the second driver heads back out on track to complete the last 9 laps. The feeling of anticipation, nervousness and adrenaline is always pumping full when the car goes out on track. At Michigan, we had such a devastating result because we were unable to start the engine to even begin the Endurance event. This time would be different. The engine started and Ryan was on the move. With a first lap nearly five seconds faster than anyone else of the final group of five cars, we had a great start to endurance. We would just need to make it through a driver change and restart. After 9 quick laps driven by Ryan, the car was in for the driver change and restart. Phil got in and restarted the engine with time to spare; went out on track and again went even faster than anyone else setting the fastest overall lap. After 9 blitzing laps, we had finished Endurance. We had the result we were expecting. All of the work was done. We gave everything we had and could now relax for the moment until the final awards ceremony later at night where it would be announced who won. At the awards ceremony we received multiple 1st place trophies: autocross, endurance, fuel efficiency, and best overall dynamic performance. But what all of us were really looking forward to hearing was the overall results. Those 9 months amass to four days, and then condense down to those few seconds when the winners are announced. 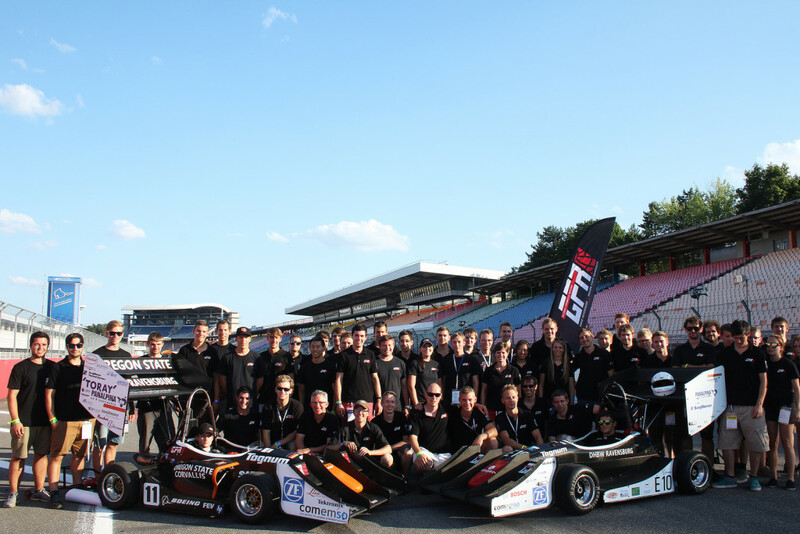 With University of Stuttgart and UAS Esslingen announced second and third respectively, all of GFR was still in wonder. But then, we heard it and saw it. We won overall. 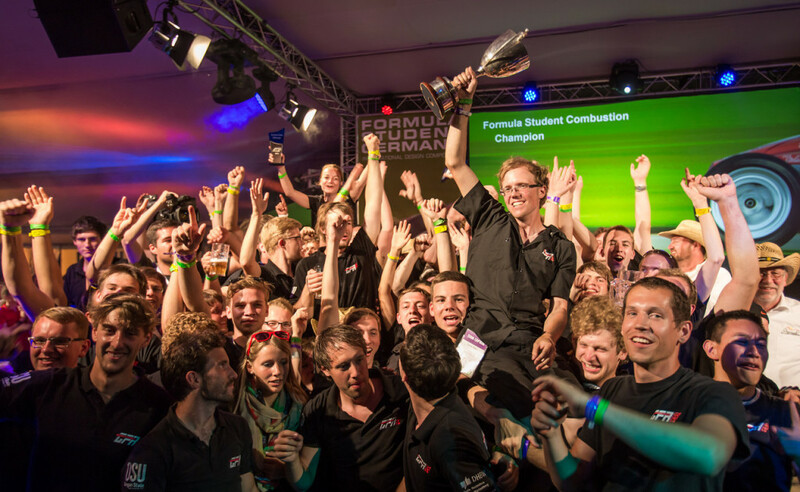 All the effort, countless hours, designing, manufacturing, assembly and practice had accumulated to an amazing finish, a win; a championship. 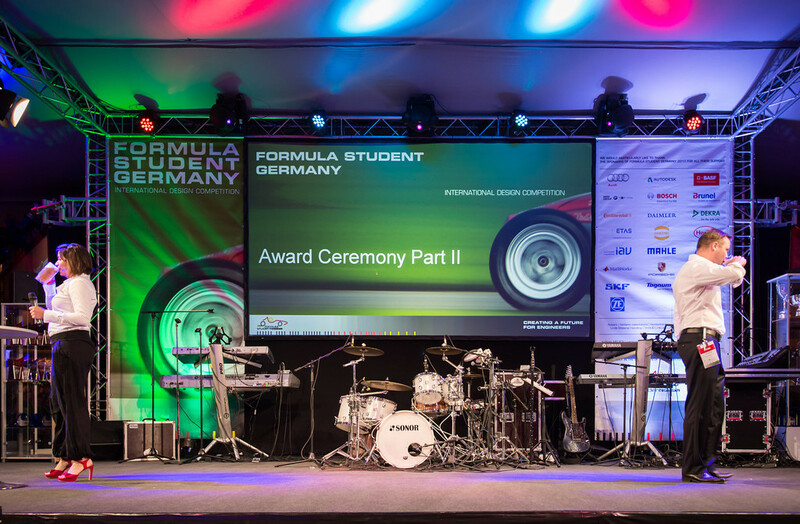 ← GFR wins overall Formula Student Germany Combustion!